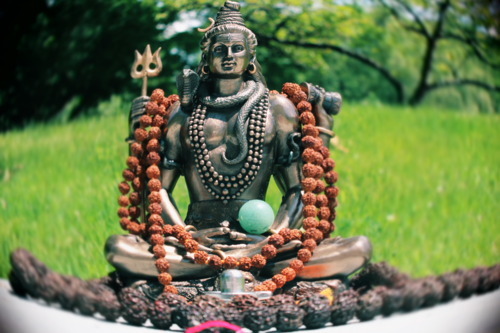 Over the past year as I’ve studied Hinduism, I’ve learned about unfamiliar spiritual practices like praying and making offerings to images (statues or portraits) of gods and saints. As a Mormon, I’d have reflexively condemned this practice as worthless and blasphemous “idol worship”. However, I’ve come to see it quite differently. In fact, I’d now go so far as to say that “idol worship” reveals the key to how worship works. In a religion as old and diverse as Hinduism, it’s nearly impossible to make any statement about “what Hindus believe” that holds true for all who consider themselves Hindus. 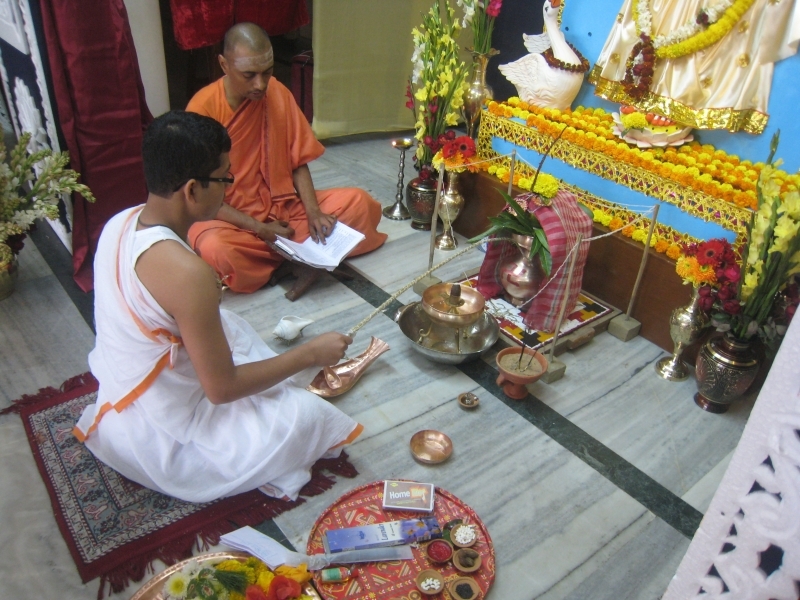 The view I’ll be providing here is drawn primarily from just one of many schools and sub-schools within Hinduism: Advaita Vedanta, particularly as expounded by the 19th Century Hindu reformer, Vivekananda, who is widely regarded as a national hero in India, where his birthday is still celebrated as a national holiday. According to Hindu scripture (e.g. the Vedas, Upanishads, and Bhagavad Gita) the entire Universe is permeated with “Brahman”. However, the scriptural references to Brahman are so diverse in meaning that Brahman cannot be reduced to a single clear definition; any attempt to give a simple definition of Brahman requires simplification. One such simplified definition is that Brahman is Consciousness–with a capital “C” because Brahman is regarded as the eternal Consciousness that permeates and is the Universe. According to this view, you might say consciousness itself is an “eternal element” and that the Universe consists of this eternal element (though it has thus far failed to make it onto our Periodic Table). Brahman is regarded as God, and theologians would characterize Brahman as an “impersonal God” because Brahman is not a person and does not have a body or gender. However, Brahman is thought to have been incarnated (to have taken on a personal form) many times throughout history. One well-known incarnation of Brahman is Krishna. It might surprise Christians to know that many Hindus regard Jesus as an incarnation of Brahman as well. Because most people have difficulty worshiping or relating to an impersonal God, most Hindus worship one or more of Brahman’s many incarnations as gods and goddesses. It’s worth noting that Hindus resist outsiders’ efforts to label them as “polytheists” because they regard all gods and goddesses as incarnations of the one and only God: Brahman. Thus, worshiping Krishna, Jesus, or any other incarnation is seen as worshiping Brahman. 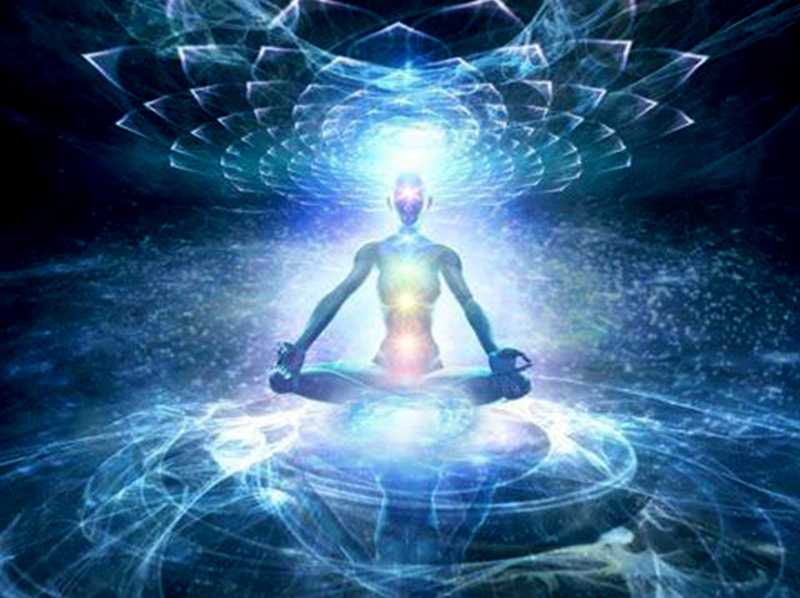 According to the Advaita Vedantist interpretation of Hindu scripture, each of us has a “piece” of Brahman (Consciousness) within us, which is called “Atman”. The consciousness within you, Atman, is considered one and the same as the eternal consciousness pervading the Universe, Brahman. One could therefore say we are “sons and daughters” of God. Or, as Jesus said: “ye are gods”. Before applying these concepts to image worship, I should clear up a common misconception: Hindus do not believe that any image is itself a god or goddess. They of course recognize that statues are just lumps of clay that were shaped into the form of a god. One could say Hindus regard images much the same way as Mormons regard temples: as sanctified physical objects that God may temporarily inhabit. A typical image worship ceremony usually starts with the ritual purification of the worshiper, of the ground on which the worshiper sits, of the various instruments and vessels used in the ceremony, and of the image itself. This purification is achieved by saying various prayers, by sprinkling water scented with aromatic oil, by making various hand signs, and by using a finger wetted with water to draw geometric shapes–usually a triangle, circle, and square–on the altar and the offering plate. 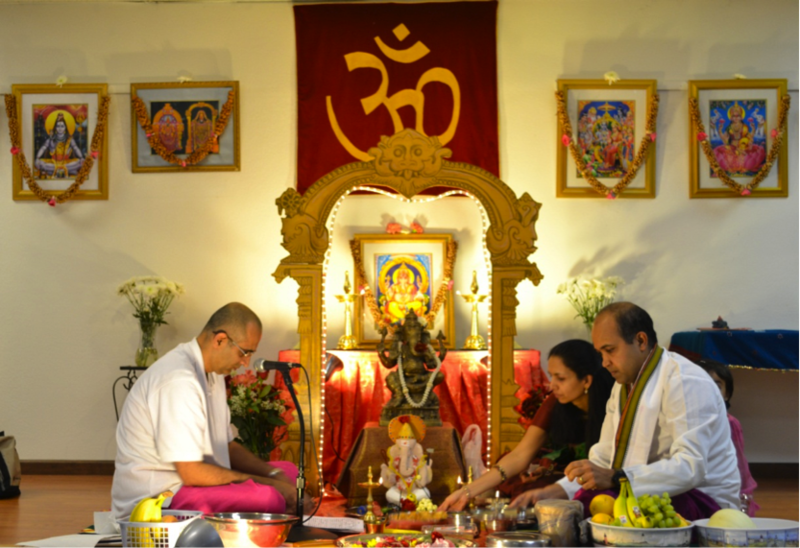 Once purification has been achieved, the worshiper prays to invoke the presence of the deity. (This demonstrates the worshiper’s awareness that the image, which is already present, is not the god or goddess him/herself.) When the worshiper senses the presence of the deity invoked, he or she then prays and makes offerings of incense, candlelight, flowers, water, fruit, and other foods to the deity represented by the image. Some take a different view of what happens during image worship. They see image worship not as summoning a deity to the worship ceremony, but rather, as projecting one’s own divinity (Atman) onto the image, which enables the worshiper to sense and experience his or her own divinity–which is one and the same as Brahman. According to another view, the image is simply an object that reflects back to the worshiper his or her own concept of a divine, ideal person. Over the past year I have observed such worship ceremonies several times at a Hindu monastery near my home. Because I am agnostic when it comes to metaphysical propositions like the existence of a universal consciousness like Brahman, I don’t hold any beliefs about the metaphysical significance of such ceremonies. But despite my agnosticism, I must acknowledge that these worship ceremonies seem to have a profound effect on those who perform them, and that observing them can be very moving for even an agnostic like myself. To explain further, I have to reference one of my favorite documentaries of all time: Kumare. If you haven’t yet watched Kumare, you absolutely must (warning: spoilers ahead). It’s the story of a man, Vikram Gandhi, who was raised by devout Hindu parents in America. Unlike his parents, Vikram grows up to be an agnostic/atheist who is skeptical about religion. He decides to pretend to be a Hindu guru, using the pseudonym Kumare, to test his hypothesis that gurus are just regular men—impostors even—who don’t actually possess any special spiritual power or wisdom. Of course, it’s very comical to watch Kumare fake a heavy Indian accent and gather a small following in the southwestern United States, making up goofy yoga poses and chants as he goes along. But along the way, something happens that it seems Vikram didn’t expect. Although he knows his Kumare character is just an act, he recognizes that what Kumare’s devotees are experiencing seems very real to them. Although Vikram knows he doesn’t have any special spiritual knowledge or power, it’s clear that his devotees think Kumare does. This puts Vikram in a difficult position, because he realizes that revealing Kumare’s true identity to his devotees—which is something he planned to do eventually—will cause them tremendous disillusionment and take away something that has become dear to them; something that to them seems very real, true, and good. 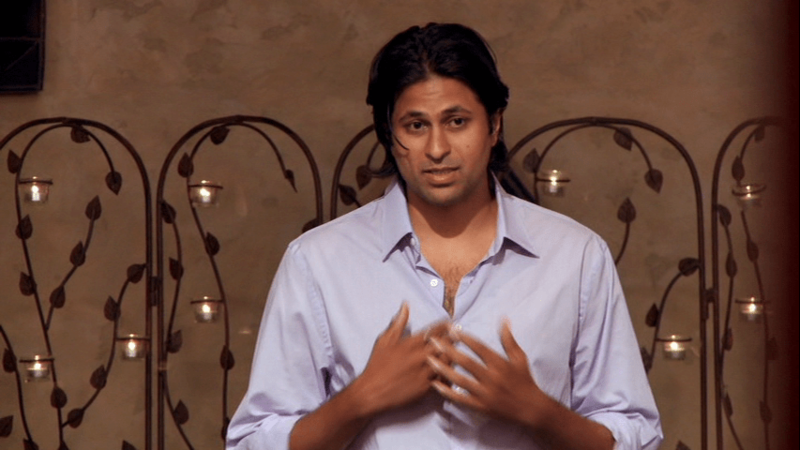 When Vikram finally reveals his deception to Kumare’s devotees, he explains that Kumare was nothing more than a symbolic figure onto whom they’d projected their own ideal of what an enlightened person is like, and that everything good and true they saw in Kumare was just a reflection of the goodness and truth that was already within them. In his Kumare documentary, Vikram mentions that he spent several months with various gurus in India to prepare for his role. And I strongly suspect that during that process he learned about Advaita Vedanta and the jnana path, because Vikram’s message to Kumare’s devotees so closely mirrors what a great jnani Advaita Vedantist like Vivekananda might have told them: When you worship Krishna or Christ, when you reverence a guru or a prophet, you project your own concept of the ideal person onto that figure, and what you see in that person is a reflection of your own ideal. And by striving to emulate the object of your devotion, you progress toward realizing (i.e., becoming) the ideal person you envision. 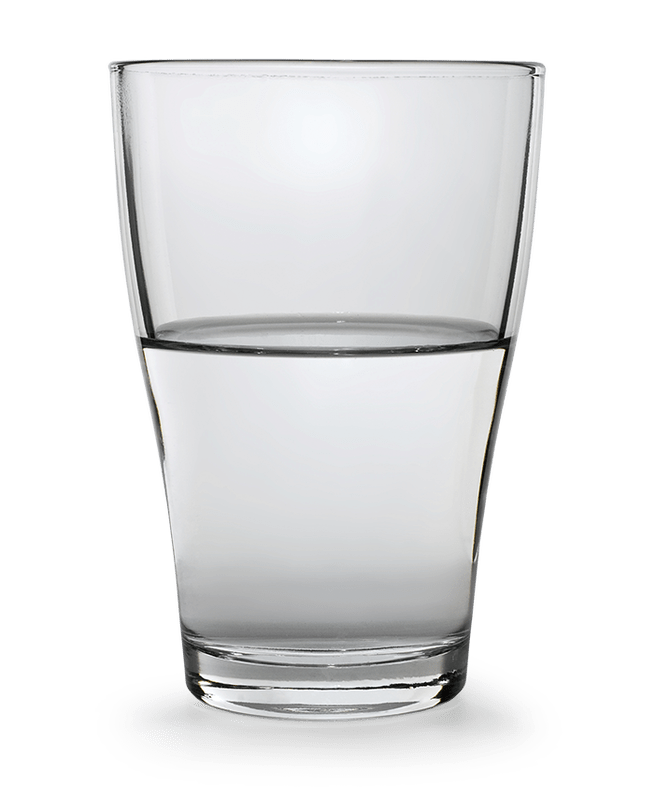 Worship: Half Empty or Half Full? There are at least two ways to look at all of this. The “glass is half empty” view is that religious worship is at worst superstition, and at best a delusion that produces a placebo effect. And you needn’t completely reject that view to recognize how the glass is nevertheless half full: religious worship is akin to hero worship, and sometimes hero worship can be effective and helpful. It seems we all have heroes in life, whether religious heroes, political heroes, sports heroes, music heroes, etc. Jesus, George Washington, Michael Jordan, The Beatles, etc. We have statues, paintings, and posters of our heroes in our homes. We might spend several hours each week reading about, listening to, or watching them. We might even wear their symbols or logos on our clothing, hats, and jewelry, or put them on our car. We’re instinctively inspired to be like the heroes we look up to. Sometimes we’re so inspired by our heroes that we actually make efforts to emulate them–in prayer or charitable service, in advocacy, in hard work and diligent training, etc. And sometimes as we do, we actually become better. Maybe even better than we ever thought we could be. Hero worship seems to come naturally to humankind, and there is nothing inherently virtuous about it. It’s clear that some who’ve been viewed as heroes did not deserve to be (e.g., Hitler), and there is nothing virtuous about striving to emulate someone of bad character. Moreover, the heroes we choose are simply a reflection of our own ideals, and not all ideals are virtuous (e.g. racial purity). So if we engage in hero worship, we need to choose our heroes wisely, because our hero worship is only as good as the heroes we choose. That positive feeling we get is a product of our body chemistry. It’s likely created in the hypothalamus and is a mixture of peptide cocktails. The “spirit” seems to be that feeling of tenderness or euphoria and seems to be the same as when we watch a tear jerker movie. Art and music used to be all that the religious community had. (and the spoken word, either fear of punishment or the hope of reward) Now however, they have film which combines the art, the still images, sound and music to create even deeper feelings. Add a cause or a compelling message and the effort turns into propaganda or salesmanship to convince the masses to follow a leader. It’s going to become increasingly more difficult to convince the masses of a specific cause in the future because people hopefully won’t be swayed by the propaganda. Here’s a clip from the movie”Joyeux Noel” where British, French and German school children were taught to recite poems about killing off the other. Based on a true story it describes how World War 1 came to a halt at Christmas when enemies decided to celebrate the holiday and called a truce. After sharing wine, chocolate and cigarettes, playing soccer they discovered the men they were fighting were regular people and had a tough time resuming the war after coming to realize their leaders had lied to them. (https://www.youtube.com/watch?v=C24ww7GoFLA) This is what prepared the next generation of soldiers. The same thing occurred with Hitler and the Hitler Jugen (Youth). Those with a cause know that the most impressionable part of society are the immature and impressionable youth who can be convinced of a cause. It’s how the LDS church convinces our children to be married in a temple and leave their loving parents outside. The Hitler youth did the same thing. I though I should comment; I loved this article, I have been thinking about it off and on for days. This type of stuff is what I consider mental/emotional/spiritual gold. A hero’s journey ends when he gets to the antagonist which he can not defeat, and finds that this enemy is himself, looking back in the mirror. We ourselves are both are greatest foe and our greatest ally. Getting to know are selves and trust ourselves is one very big key to the good life; “know thyself” an ancient Greek maxim for a reason.